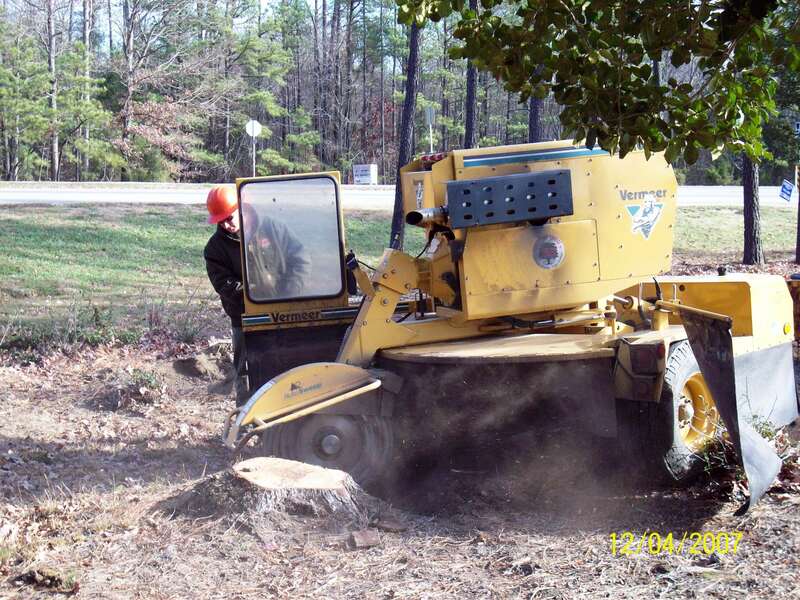 Stump Grinding is the mechanical grinding of a trees roots, below ground level. We achieve this with 2 machines, our large tow behind machine and out small track grinder. Our tow behind machine is used for large, easy to get to stumps; this machine is towed with a truck from our fleet. Our track grinder is used for stumps in tight and confined area; this machine will fit through a standard 36" gate. We grind stumps 8-12” below grade, the stump hole will then be filled in with the stump grindings; the remaining excess mulch does remain on premises. The grinding of surface/running roots is not considered part of the stump grinding process. This option is available at an additional cost as is the hauling away of the excess mulch. 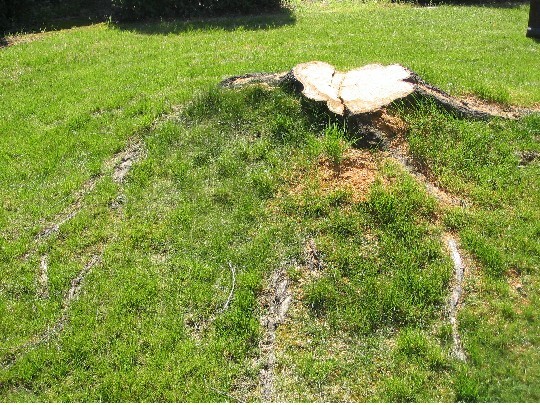 Although we do, our best to avoid causing damage to underground systems, the machines do not differentiate between tree roots and underground obstructions. We cannot be responsible for damage to underground systems. ←Stump Grinding mulch is mixture of wood and soil, wh ich is left on site unless otherwise stated.